This October Miniclick are working with Curtis James of Fieldwork to present a series of events around photography and the paranormal as Miniclick goes Spirit Side. As part of that programme we’re extremely pleased to present, alongside the BFI and the Duke of York’s Picturehouse, a special screening of Ghostwatch, followed by a live Q&A with Ghostwatch writer Stephen Volk, director Lesley Manning and creator of ‘Ghostwatch: Behind The Curtains’, Rich Lawden. Wednesday 14th October, 6:30pm. The Duke of York’s Picturehouse, Brighton. Tickets include the Q&A and are priced from £9. BOOK HERE. Presented by Michael Parkinson and Mike Smith in the studio, it was billed as a live investigation into poltergeist activity at a North London suburban home where a single mother and her two daughters were being terrorised by the ghost ‘Pipes’. Sarah Greene and Craig Charles are ‘live’ at the house as the investigation twists and turns to a chilling crescendo. Arguably one of the most controversial and influential pieces of TV history, this is a rare chance to see a screening of Ghostwatch. Banned for over 10yrs, it has never been repeated on UK TV. We’re very pleased to be joined by Stephen Volk, Leslie Manning and Rich Lawden for a discussion afterward. BAFTA-winning screenwriter Stephen Volk is best known as the creator of the notorious BBC TV “Hallowe’en hoax” Ghostwatch and the TV drama series Afterlife starring Andrew Lincoln and Lesley Sharp. He has recently adapted Phil Rickman’s novel Midwinter of the Spirit for ITV starring Anna Maxwell Martin and David Thelfall, and his other screenplays include The Awakening (2011) starring Rebecca Hall and Dominic West, Ken Russell’s Gothic starring Natasha Richardson, Gabriel Byrne and Timothy Spall, and William Friedkin’s The Guardian which he co-scripted with the director. His stage play The Chapel of Unrest premiered at London’s Bush Theatre starring Jim Broadbent and Reece Shearsmith, while his short stories have been chosen for Year’s Best Fantasy and Horror, Mammoth Book of Best New Horror, Best British Mysteries, and Best British Horror. He has been a Bram Stoker Award and Shirley Jackson Award finalist, and his second collection, Monsters in the Heart, won the British Fantasy Award in 2014. His novella “Whitstable” featured Hammer horror star Peter Cushing as its main character, while his follow-up, “Leytonstone”, centres around a young boy named Alfred Hitchcock. Welsh born Lesley Manning started making films at Bristol Art College where she graduated with 1st Class Honours. She trained at the National Film and Television School as a director and graduated to work on films and serials at the BBC, one of which was the cult hit Ghostwatch – the highest rated single drama (since Cathy Come Home), for BBC SCREEN ONE film strand and named by Channel Four as the most controversial TV drama. Lesley also directed My Sisterwife for the BBC SCREEN TWO film strand and won CRE Best Drama, Best Asian Film Award and was screened at Dinard and Brussels film festivals. 2011’s Leila was the first feature Lesley has written as well as directed – and was a finalist at Austin Film Festival, winning Best Actress at London Independent Film Festival and Audience and Jury award for best narrative at United Film Festival. In 2013 Lesley completed a low budget feature, produced by Myf Hopkins called Honeycomb Lodge which won best NRI Film at Delhi International film festival and was invited to Mumbai Film Festival. Rich Lawden is a producer-director, with a background in graphic design and professional writing. His articles and photography have been published in such websites and publications as reddwarf.co.uk, SFX, Fangoria and Black Static. He has also designed, and collaborated on several original artworks, prints and signage for the official Red Dwarf fan conference, Dimension Jump. In 2014, he headed a ground-up redesign of the quarterly magazine, Back to Reality. 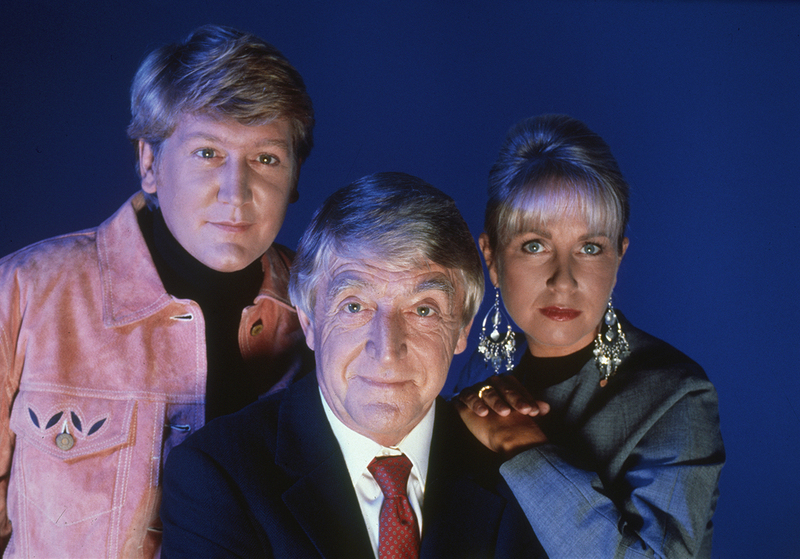 To mark the 20th Anniversary of the programme’s original broadcast, Rich directed and co-produced the critically-acclaimed retrospective documentary, Ghostwatch: Behind the Curtains, chronicling the production and impact of the BBC’s “legendary” Hallowe’en Hoax of the same name. In 2013, the film was added to the National Archive for posterity by the British Film Institute, and is currently available to view at Mediatheque stations, nationwide. Rich has also authored a companion book chronicling the making of the documentary, featuring a foreword by writer/creator, Stephen Volk. Later, he designed and edited a full transcript, in response to requests sent in from fans and followers of the project. In 2010, he coordinated an early example of live ‘Tweet Casting’ on the social networking site Twitter, in the form of National Séance, which has since gone on to become an annual event, attracting a global reach of over 750,000 users. Rich was born in Solihull, England, where coincidentally in 2002, he failed out of college. Since then, he has gone on to make special guest appearances at such live events as London Film and Comic Con, Horror in the East, and Sci-Fi Scarborough. He is currently developing his first drama feature, based on his under-published novella, Alone / Together. Wednesday 14th October, 6:30pm. The Duke of York’s Picturehouse, Brighton. Tickets include the Q&A and are priced from £9. BOOK HERE.